It really doesn’t sound exciting, a bedside table tour haha?! So lets start of with the most important bit, my actual bedside table. This is the Selje from Ikea. I have the one without wireless charging because it costs way more with that. Its pretty small and made out of metal, its my kind of style and I love it. The second biggest thing on my bedside table is my Philips iPod doc. I can’t actually use my phone with this because I have an iPhone 6s and this has an adapter for a 4s, but luckily I can just use bluetooth connection with it. 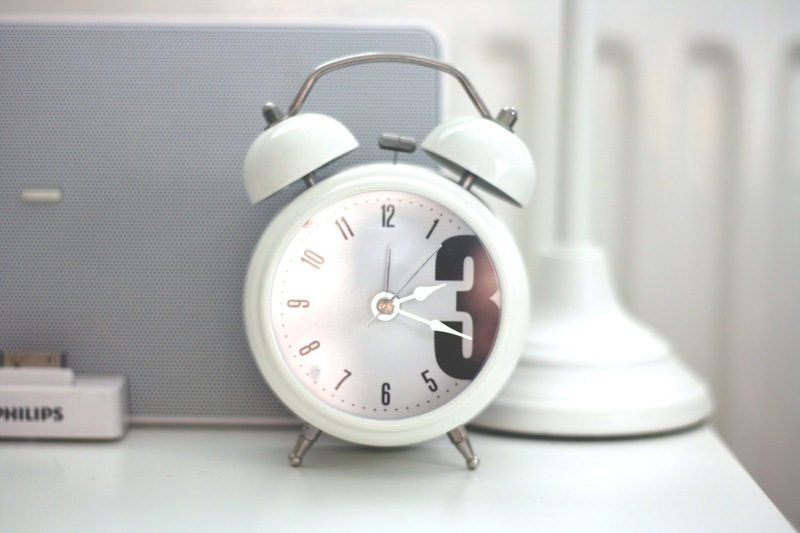 Next to that I have my cute little alarm clock from Ikea (again). 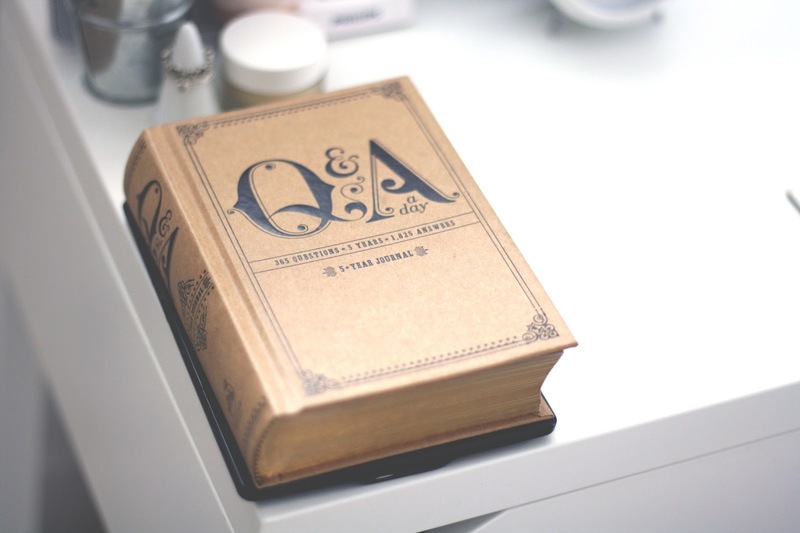 Next up is my Q&A a Day journal which I love and fill in everyday. Essentially there is a question for every day of the year and you just fill it in, I love this and its such a nice thing to look back on and how your thoughts have developed over 5 years. The back corner of my bedside table consists of my little bits and pieces. 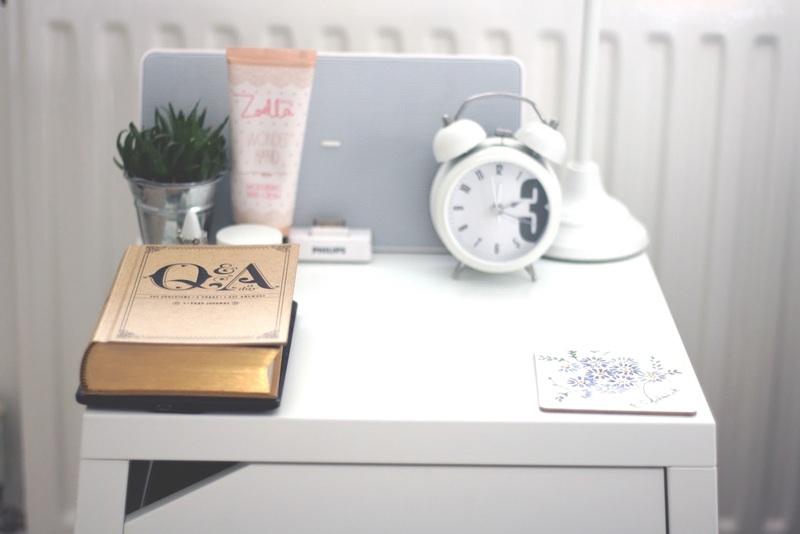 Here you can see my little succulent that I use as a prop for almost every single one of my blog posts, its so cute I love it! 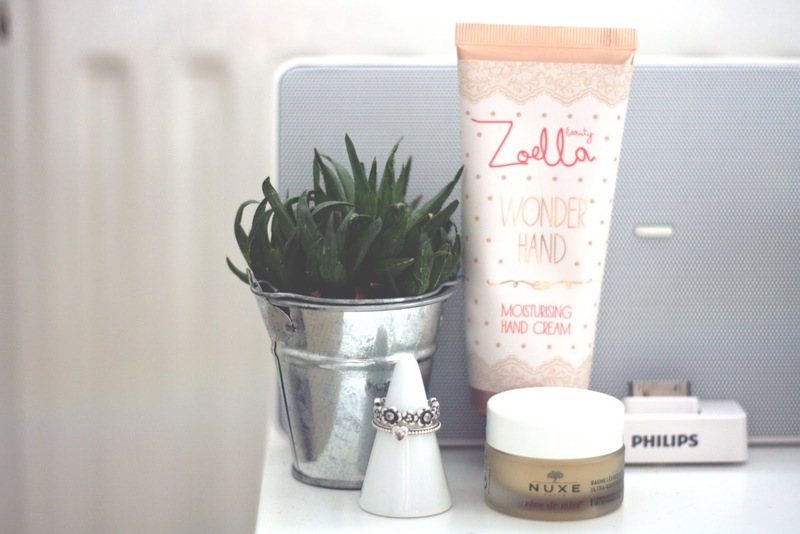 Next to him we have my Zoella Wonder Hand hand cream which I love so much and use every night before bed, and it smells incredible. My favourite little bit of my bedside table has to be this tiny little ring holder from Muji, this is where I keep my only two rings. How adorable is it?! 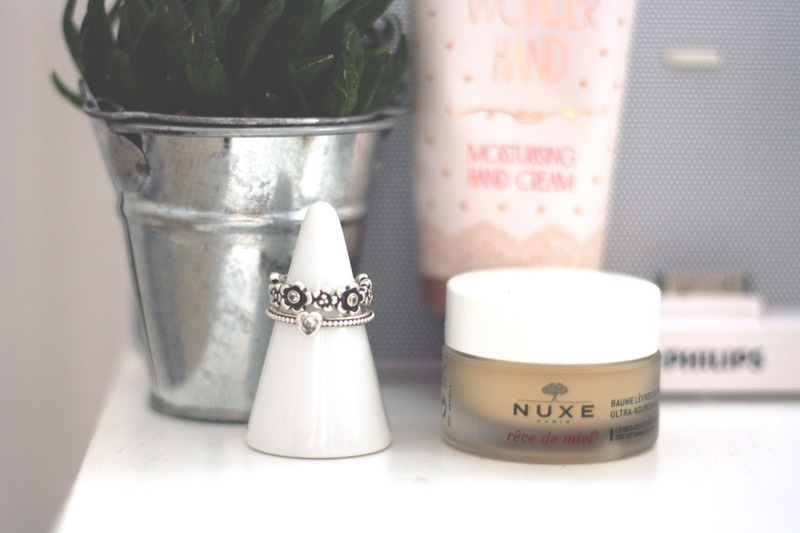 And finally we have my beloved Nuxe Reve De Miel lip balm which I use as an overnight treatment for my lips.